Hard to Live: Let it snow! Here at HardtoLive, existence has been slightly easier in the past week thanks to a welcome dusting of snow punnery from our friends in the news media. The northeastern seaboard location of WinterFunFest 2010 (X2) really couldn't be better, with both the New York Times and Washington Post dishing out snow zingers all week. 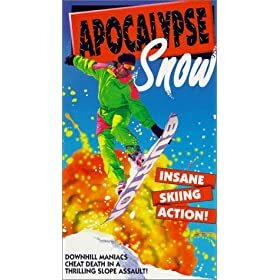 Now, some of these word-play flurries, such as Snowpocalypse and Snowmageddon, have probably been around for at least a few years. Others, like New Snowcialism, seem to display an innovative timeliness I really appreciate. I think, though, that there's plenty of room for improvement. And with the Winter Olympics upon us, I'm looking to journalists the world over to step up their pun game. Those who escaped the storm with impromptu vacations are being criticized by the less fortunate as the new snowbility. Rogue bus driver maintains route despite official cancellations, says ain't nobody going to snow him down. Weather man: When's it going to stop? I don't snow. Weather man: When's it going to stop? There's snow telling.